An evil serial killer calling himself “the Director” is creating his magnum opus, an homage to your father, and he’s intent on casting you in the starring role. Journey through 1920s Hollywood to discover the identity of the Director and save your family and yourself! 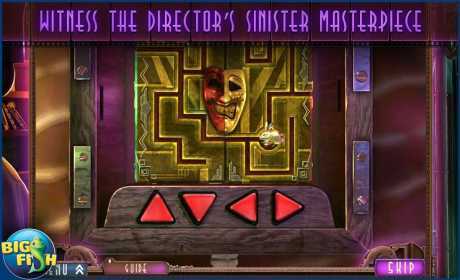 Your father’s projector appears again, allowing you to switch between real-life and scenes and the Director’s movie sets. Travel to a stormy pirate ship, a beautiful beach, and many more scenes. • STOP THE MURDEROUS VILLAIN! Rush to rescue your beloved brother, and other members of the Wolf family, from certain death as the Director tries to immortalize them in his film. Your courageous past has brought you to the attention of the Director. Now he wants you to take a central role of his horrible production. Only you can save yourself! • DISCOVER THE MYSTERY AND UNLOCK THIS COLLECTOR’S EDITION! 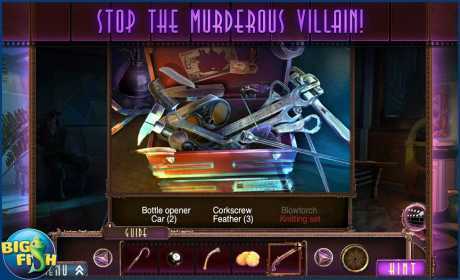 Play the role of the detective in the bonus game. Collect film-set clapperboards hidden throughout the game. 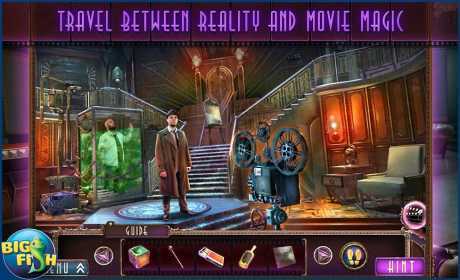 Enjoy beautiful wallpapers and concept art in this haunting Hidden Object Puzzle Adventure!